We’re celebrating National Eyewear Day on June 6 here at Working Person’s Store and showcasing our extensive collection of protective eyewear. 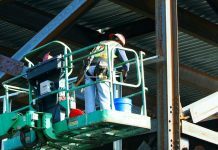 OSHA regulations require that employers ensure their employees wear proper eyewear in the workplace, and it’s a smart move to wear protective eyewear off the job, too. 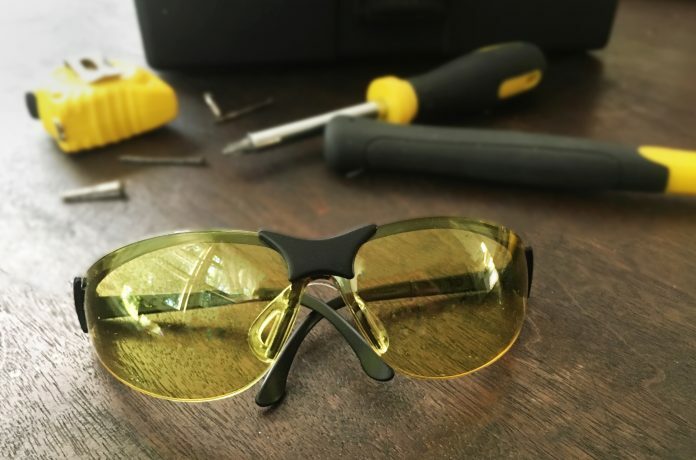 Whether you are looking for an attractive pair of sunglasses for everyday wear, eyewear to protect your eyes when working on home projects or hobbies, or are seeking specialized eyewear for on-the-job safety, Working Person’s Store has protective eyewear with features to meet a broad range of requirements. Foggy glasses that result from changes in temperature and humidity can be annoying at any time, and when it happens at work, it’s not only an annoyance but a safety hazard. Whether you are simply tired of your sunglasses fogging up every time you step into a cool building on a hot day or need to keep your vision clear at work in variable environments, Working Person’s Store has over eyewear in many anti-fog styles. 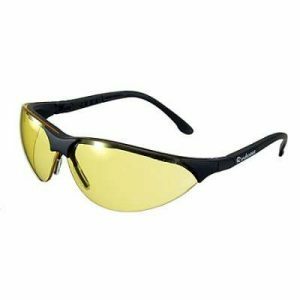 Check out all the options, including these Dakura Black TSM 21 G-15 7 Silver Polarized Mirror Lens Safety Glasses from Edge Eyewear. These glasses feature a flexible nylon frame, ear pieces and nose pads that resist slipping, and lenses designed by the United States Air Force. These glasses meet ANSI Z87.1+ and Military Ballistic Standards and have high-velocity impact resistance. The lenses will block UV-A and UV-B rays and are both anti-fog and scratch-resistant for a reliable view all the time. When your work or hobby exposes you to bits of flying material, it’s important to have eyewear that provides ballistic protection. When it comes to ballistic protection, we’re talking about more than protection at the shooting range. All kinds of hobbies and activities can put your eyes in danger from the impact of flying debris and objects. 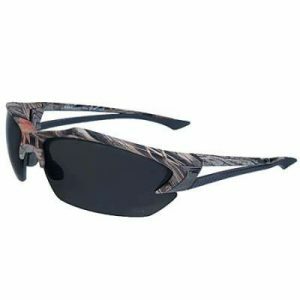 Working Person’s Store has all kinds of ballistic protection eyewear, including these Edge Eyewear TSDK21 CK Forest Camo Khor Polarized Sunglasses with 3 Lens Kit. 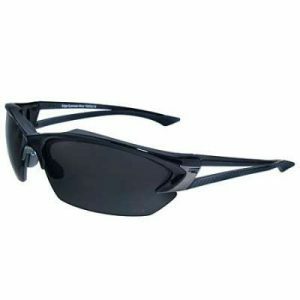 In addition to providing ballistic protection, these sunglasses are unique in that they come with three separate lenses, which you can easily change to meet the requirements of different conditions: the smoke gray polarized lenses reduce glare; the yellow lenses are ideal for low-light conditions, and the clear lenses are anti-reflective. These versatile glasses meet the ANSI Z87.1+ impact standard for eye protection, and the three specialized lenses mean you’ll be prepared for various conditions. When you are working or playing in conditions with a lot of glare, a pair of polarized sunglasses can make all the difference. 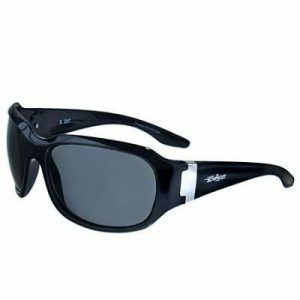 Working Person’s store has many sunglasses, including safety glasses, with polarized lenses, like these TSK216 Kazbek XL Black Smoke Lens Polarized Safety Glasses from Edge Eyewear. In addition to being polarized, these sunglasses meet ANSI Z87.1+ standard for impact. 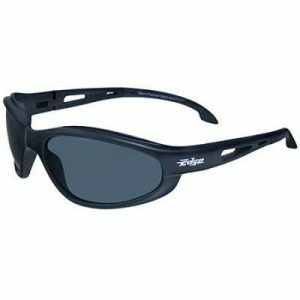 They have wraparound frames that protect the sides of your eyes and give these safety glasses an edgy look. They’re an excellent choice for both bright or cloudy conditions. Check out all the polarized sunglasses at Working Person’s Store and find the one that’s just right for you. Scratches on eyewear are more than an annoyance, they are a safety hazard. Scratches on safety eyewear can obstruct your vision and also distract you, creating additional risk to your safety. Wear scratch-resistant eyewear for work or everyday wear to help keep you safe. Working Person’s Store has a wide selection of eyewear that features scratch-resistant frames, including these Pyramex Rendezvous Amber Safety Glasses, a versatile and affordable choice. And while they are priced low, these safety glasses are long on safety, comfort, and adaptability. They meet ANSI Z87.1+ and CE EN166 standards. They are lightweight, with temples that adjust to four different lengths and nose pads that conform to most bridge widths. In addition, the design lets air flow up and away from the lenses to reduce fogging, and the ratcheting lens pitch adjustment allows you to adjust the angle of the lens. With over 150 scratch-resistant eyewear options at Working Person’s Store, we’re sure to have one that meets your requirements. Ultraviolet (UV) radiation, the invisible rays from the sun, can damage the eyes and cause serious sight-threatening conditions such as cataracts and macular degeneration. 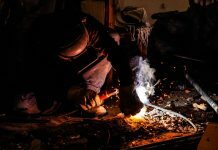 UV radiation can also come from artificial sources, including some industrial equipment like welding machines, in addition to tanning beds and some kinds of lights and lasers. The American Optometric Society recommends that sunglasses block out 99 to 100 percent of both UV-A and UV-B radiation. Working Person’s Store has hundreds of eyewear styles that provide UV-A and UV-B protection, like these Women’s Civetta Smoke Lens UV Safety Glasses YC116 from Edge. These stylish glasses provide 99.9 percent protection from UV-A, UV-B, and UV-C rays, and the tapered lenses also eliminate refraction. They meet the ANSI Z87.1+ standard and feature a straight-temple design and side air vents for comfort. Check out our entire Working Person’s Store collection of eyewear styles that provide UV radiation protection. Whether you are heading out to work or to play, make sure you are equipped with eyewear that protects your eyes. Working Person’s Store has hundreds of styles with features to protect your eyes and keep them healthy. With hundreds of styles and options, plus prices ranging from $1.49 to $150.00, we have the safety eyewear you need at prices for every budget. Check them all out at Working Person’s Store. Next articleGear Up for Summer… Let’s Go Camping!